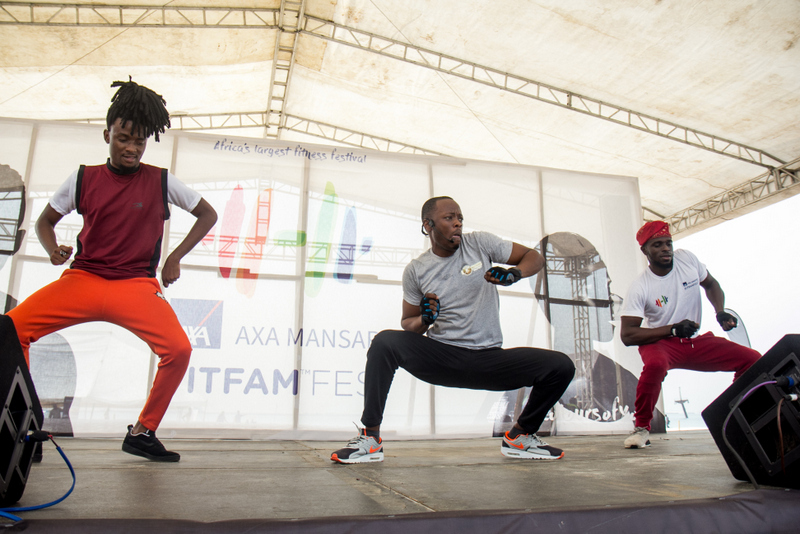 It was a beautiful buffet of fun, exercise and relaxation for fitness lovers who convened for the AXA Mansard Fitfamfest at the serene seaside of Ember Creek Waterfront on Water Corporation Drive, Victoria Island. 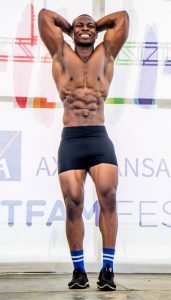 The full day event turned out to be a promise kept to a boisterous young crowd of fitness freaks who were put through a holistic experience of fun-fitness, food and wellness activities. Celebrity MTV Base VJ-Ehiz assisted by actor turned social media sensation-Bollylomo brought their A-game at the festival ensuring that there wasn’t a dull moment. 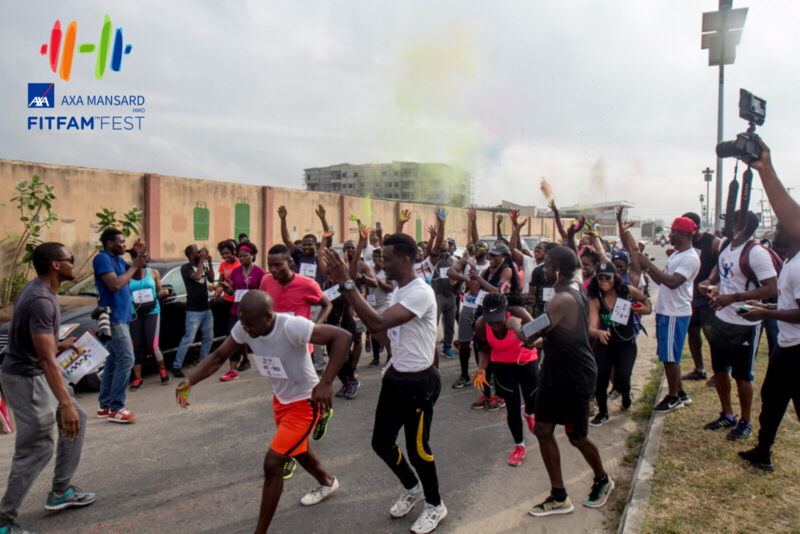 A 5k Colour Run stretching through a network of roads set the tone for the day. 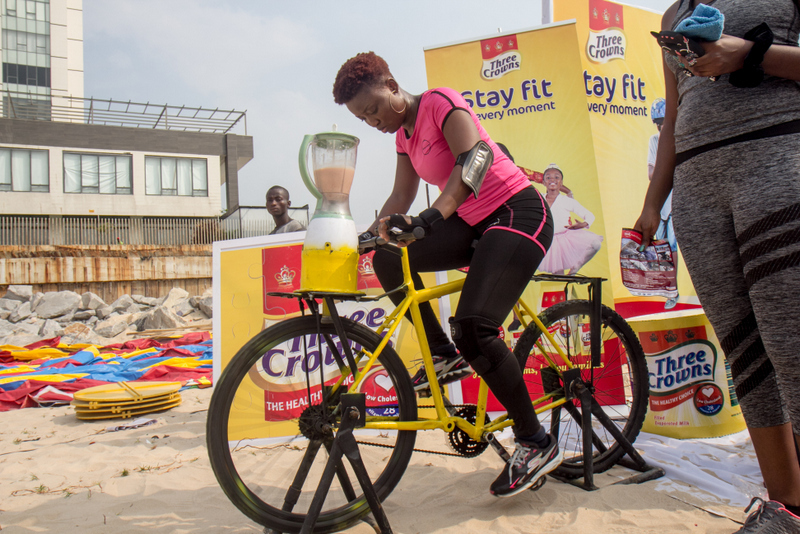 The endurance-testing race produced winners across genders who went home with exciting prizes from sponsors such as Three Crown Milk. That segment was followed up with a fun-filled cardio dance session anchored by certified instructor, Seyi Olusore also known as Shedams. These dove-tailed into two separate events – a Yoga session by the seaside and a silent disco-Glow in the dark workout session at a neon room set up inside the Ember Creek hall. 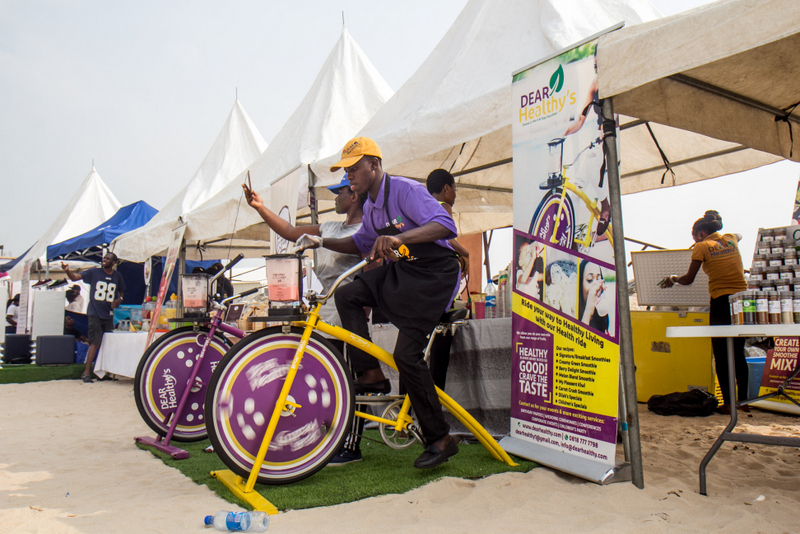 In tune with its theme, #ColoursofYou, the event also witnessed a variety of other interesting sessions such as a Muscle Man and Bikini Model competition hosted by Lifeland.ng. 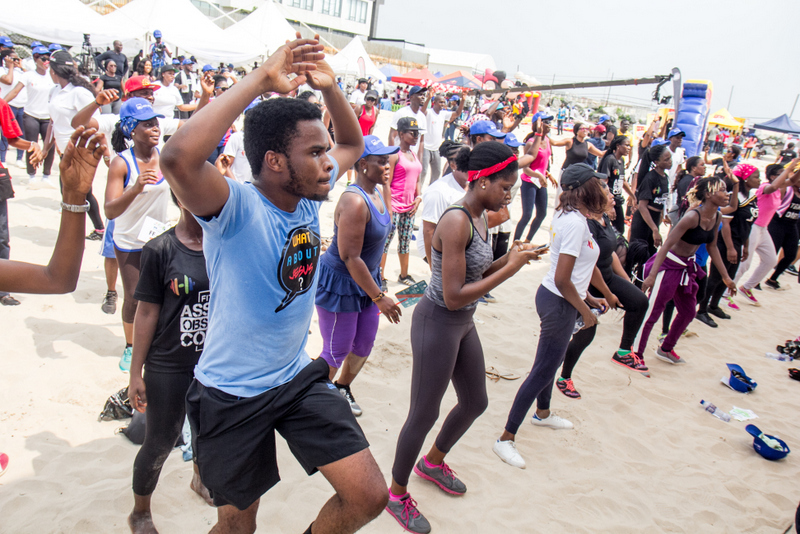 There was a spectacular dance fitness session anchored by Afrifitness boss, Rachel Okesola and her squad while Maje Ayida’s The HIIT squad sustained the tempo with a showcase of high intensity training. Also on the sidelines was a Vegan Village hosted by Lagos VegFet. 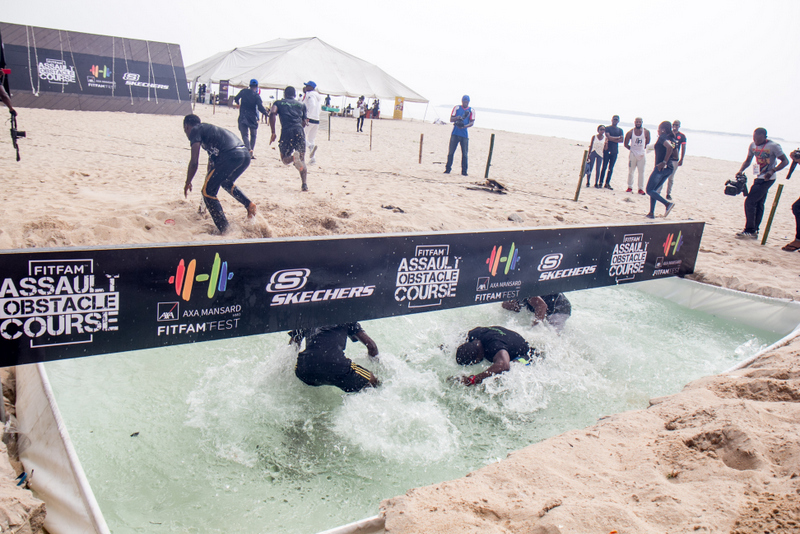 A major highpoint was an exciting obstacle course called FITFAM ASSAULT OBSTACLE COURSE thrown open to participants deemed fit by competent medical personnel on ground. It was a rigorous challenge riddled with all shades of extreme obstacles such as fire, water, wall barriers and some heavy-lifting. 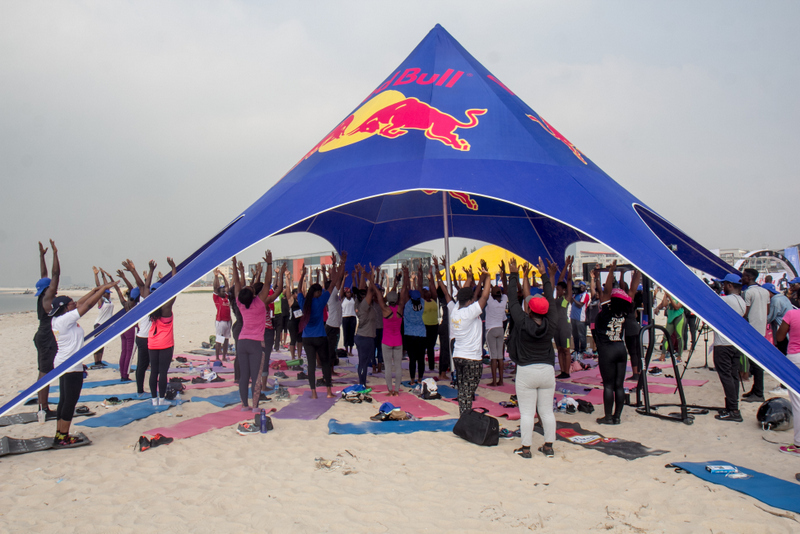 The event which had leading insurance firm, Axa Mansard as its headline sponsor also witnessed support from organizations such as Skechers, Red Bull and Three Crowns Milk. Expressing satisfaction on the outcome of the event, co-organizer Tuvie Onojaife noted that there was no dull moment and the audience engagement and interaction was top-notch. He promised that the event will get better and bigger in the years to come.